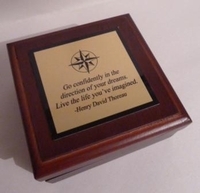 CUSTOM ENGRAVED PLATE: If you would like to add a 'personal touch' to this compass presentation box add a custom engraved plate to the top cover. Maximum four lines, 25 characters per line. 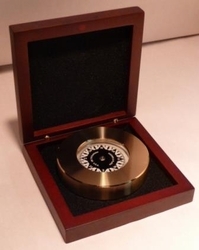 We will do the layout.